I am thrilled to be performing 2 headline shows aboard the wonderful Norwegian Jewel at the end of February as it sails from Cairns to Darwin. I will be backed by the Jewel’s fantastic 7-piece showband. With 2,376 passengers and 1,069 crew, this is the largest ship I have worked on so far. 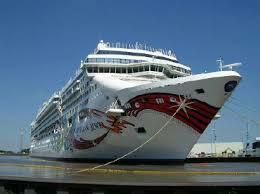 It’s also my first gig with this cruise line – hopefully the first of many.